When I watched Savior the other day, knowing it was produced by Oliver Stone, I thought of all the outstanding anti- war movies this man has done. Many film directors have chosen to do war movies but there are just a few that we associate more with the genre than others. His trilogy of Vietnam war movies is probably known by almost anyone. Platoon is one of my Top Ten favourite ones, but I think Born on the 4th of July is equally powerful. Heaven and Earth, the third one, may be a bit less accomplished but maybe we have to see them all together as three different points of view of one war. His name stands for many other extremely good movies that often circle around the themes of war and violence. War movie purists would not mention Alexander when speaking about war movies, I think it is debatable. What is not debatable is that Alexander is highly watchable. Salvador is without any doubt a further war movie. The Doors has a look at the Vietnam war, politicians like JFK and Nixon have to be associated with war. You could say that Wall Street is the war of the brokers and Natural Born Killers a personal war. And even World Trade Center could be called a war movie (actually the only one I have not seen because of the obnoxious Nicolas Cage). For me The Doors is Oliver Stone´s only failure. As much as I normally like Val Kilmer, as Jimmy Morrison he was just sacrilegious. Be it as it may, Oliver Stone is an interesting film director. I posted two tributes to him, both from Film Festivals, one from Austin and the other one from Zürich. They are a bit different in as much as the Zürich one also shows some bits of interviews with Oliver Stone whereas the Austin one is purely dedicated to his movies. 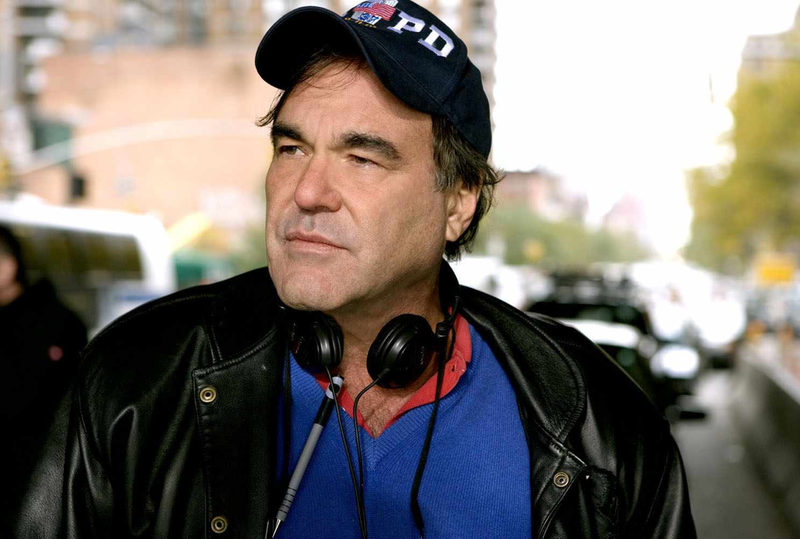 Do you have a favourite Oliver Stone movie? I must admit that apart from Platoon I have watched Alexander more than once. This entry was posted in Film directors, Movie, Vietnam, War Movie and tagged Born on the 4th of July, Film director, Heaven and Earth, Movies, Oliver Stone, Platoon, Vietnam War, War Movies. And I guess Stone may have a work in progress from news stories in the last several months, is it on both Hitler and Stalin or just Hitler?? http://newsbusters.org/blogs/jeffrey-scott-shapiro/2010/07/30/stone-s-vindication-hitler-crime-against-history No endorsement for this article, just one of the first links that came up. I believe the author of one of the Doors books O. Stone used (No one gets out of here alive) did not think the Doors movie was accurate, perhaps bandmembers too. Maybe if Stone had taken a few things out, the movie might have worked better. Oh, and if Wall Street is a war of the Brokers, then we can’t forget ‘On any given Sunday’, the football movie and football is war (football being gridiron or American Football for any English speakers outside of North America). I enjoy Stone’s cameo in that one as a commentator. Yes, I agree on the football movie. It is a form of war the way it is played now, I guess. I haven´t heard about this upcoming one. Unfortunately I am not always the first to know. Thanks for the info. use the word EUGENICS —-or USURY. —or he’s AWOL and crashing on his Dad’s sofa. I haven’t seen Sand Pebbles, thanks for suggesting it. Well, yes, he didn’t make a movie on the war in Korea maybe he didn’t feel qualified? I still think two of his Vietnam movies are some of the best anti-war films.